Ash Barty delivered an impressive performance to begin her new season, with a straight-sets win over Alize Cornet putting Australia 1-0 ahead against France at the Hopman Cup. 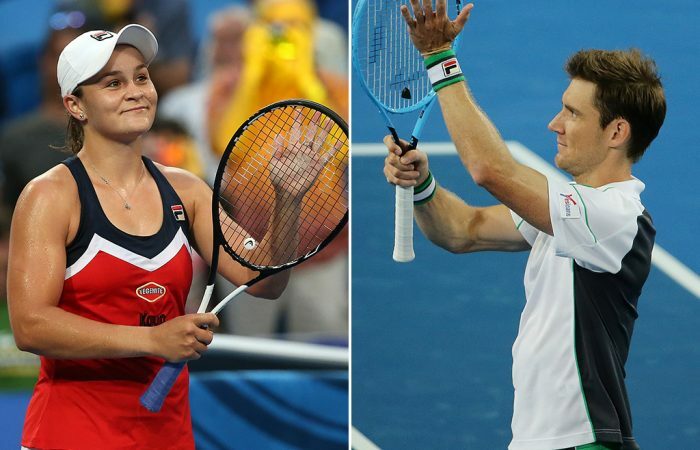 Australia has claimed its opening tie of the Hopman Cup against France in Perth after a come-from-behind victory from Matt Ebden. Playing in front of his home crowd at RAC Arena, Ebden shrugged off a 6-3 opening set loss in just 30 minutes to beat Lucas Pouille 3-6 7-6(5) 6-2. 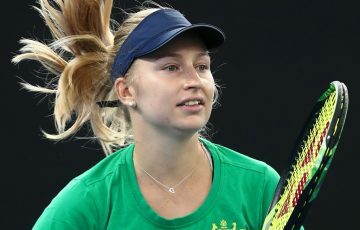 Earlier, Ashleigh Barty’s 7-5 6-3 win over Alize Cornet got the hosts off to a perfect start, while the French salvaged some pride when Cornet and Pouille combined to beat Barty and Ebden in straight sets in the dead mixed doubles rubber. Ranked 46 in the world, Ebden scrapped to stay on serve in the second set and then jumped to a 5-0 lead in the tie-break. Although Pouille managed to recover to trail 5-6, he was unable to reel in Ebden’s lead. Ebden carried his momentum into the third set and outplayed the Frenchmen, who is ranked No.32, but was as high as 10th during 2018 before being hit by injury. The West Australian says he took a while to get into his groove. “There wasn’t much rhythm until the second set, late. 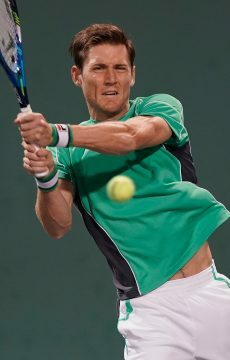 Lucas was playing fast; a lot of power in his serve,” Ebden said. Barty, the world No.15, survived two break points in an early service game before breaking Cornet’s serve to take a 4-1 lead. She broke a second time to claim the opening set in 50 minutes. 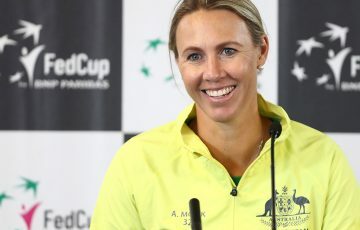 Cornet, who won the mixed-teams tournament with Jo-Wilfried Tsonga in 2014, was under pressure throughout the second set from the 22-year-old Australian. Barty said after the win that the tough hit out was just what she needed. 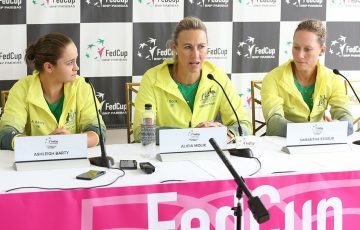 “It’s always an extremely tough match, which is a little bit perfect in a sense. I knew I had to be ready; I had to hit one million balls,” she said. Barty admitted to having too many unforced errors for her liking, but said she expected that to improve as she hit the more balls during the week.